Jose Mourinho has provided a gloomy injury update ahead of Manchester United’s mega clash with Arsenal. 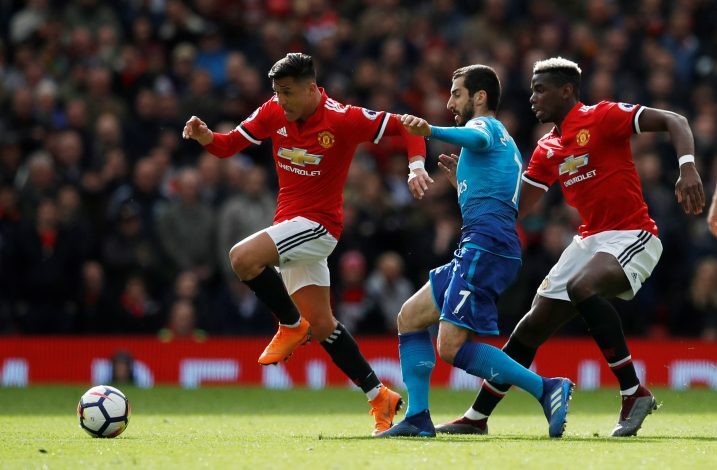 The Red Devils are all set to host Arsenal at Old Trafford on Wednesday night, in what promises to be a thrilling Premier League encounter between the two English heavyweights. The Gunners have been tremendously impressive under their new boss Unai Emery, and they shall visit the Theatre of Dreams brimming with confidence, having recently beaten Spurs 4-2 in the London Derby. The Mancunians, on the other hand, have been struggling to say the least, with their performances as well as results being far from consistent. And now, another major setback has added to their already long list of worries. Manager Jose Mourinho has hinted that his side could be without six first-team defenders for Wednesday’s league game, which could force him to field a makeshift and inexperienced backline. Mourinho further added that he had faced similar conditions prior to Manchester United‘s match against Southampton on Sunday, wherein he was completely unaware of the team he would be fielding until mere hours prior to the kick-off. “Against Southampton, three hours before the game I didn’t know the team that is going to play, so nobody knew the team and ourselves, we didn’t know,” Jose admitted.